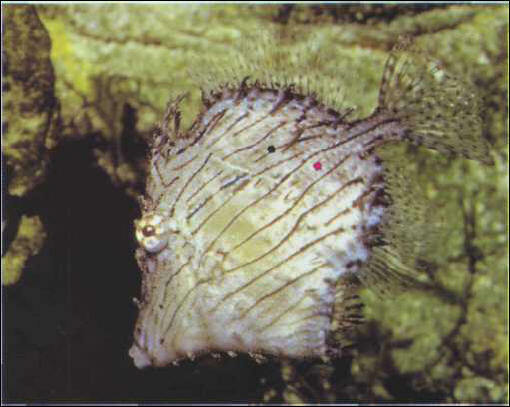 The tassled file fish stands out due to the protuberances on its skin. It relishes algae, even more than live prey. The adults are loners and can attack some invertebrates. Size: 11-25 cm.